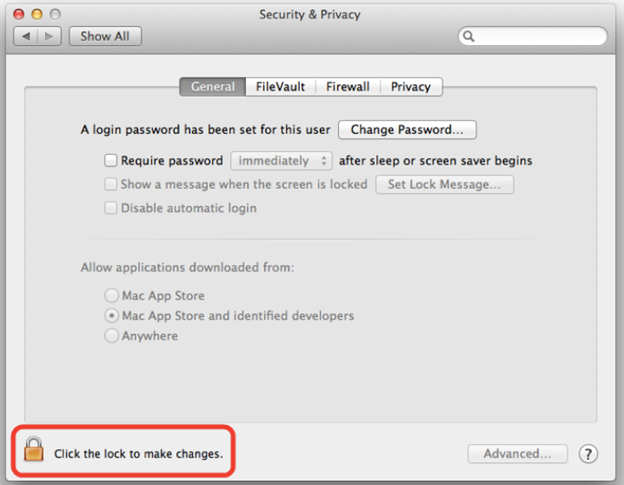 To change, open the System Preferences. This can be done by either clicking on the System Preferences icon in the Dock or by going to Apple Menu > System Preferences. Make sure that the General tab is selected. Click the icon labeled Click the lock to make changes. If prompted, enter your username and password into the prompt that appears and click Unlock. 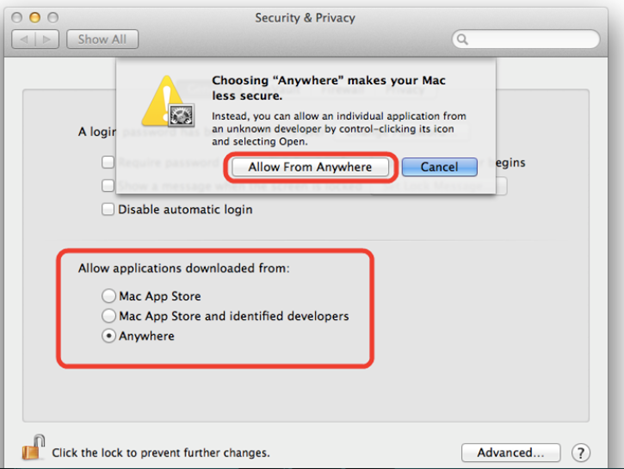 Under the section labeled Allow applications downloaded from:, select Anywhere. On the prompt that appears, click Allow From Anywhere. Exit System Preferences by clicking the red button in the upper left of the window. You should now be able to install applications downloaded from the internet. Once this is done you will be able to continue in taking the steps to install the Sfax Driver.